This is a LIVE auction item, click here to purchase your tickets! Meet the apex predator of the BAD BOY BUGGIES© line, the RECOIL™ iS. This fully electric 4WD machine tears through tough terrain silently with a 72 volt AC electric drivetrain that offers up to 40 miles of range between charges. Navigate ruts and washouts safely and comfortably with four-wheel independent suspension. Outfitted with a rear seat to carry more friends along for the ride. No matter the adventure, the RECOIL™ iS will lead the pack! Silence means everything when you’re sneaking up on your game. 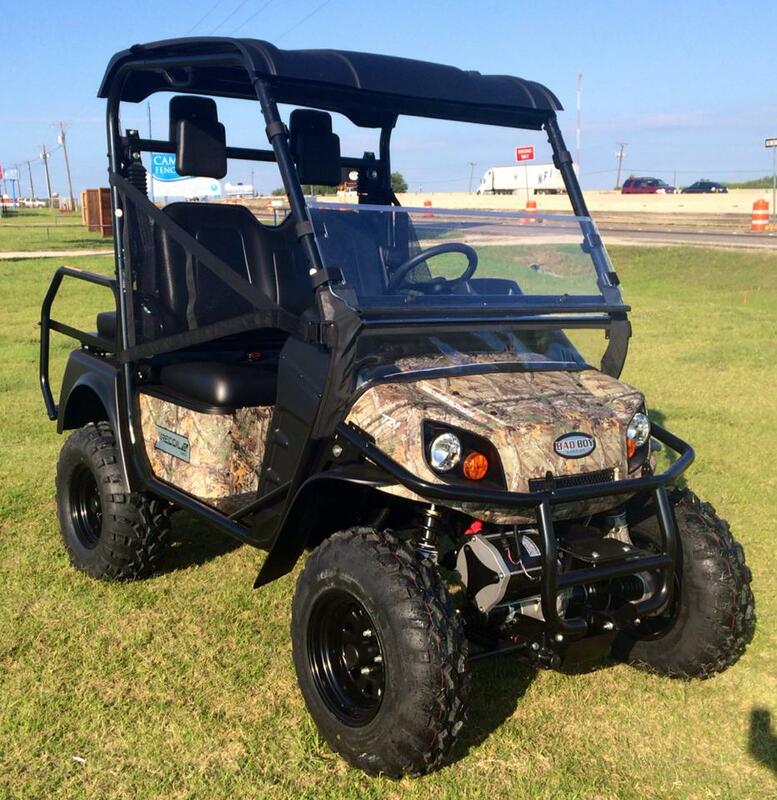 The Bad Boy® Sport Series offers powerful, whisper-quiet electric drivetrains that are 4x quieter than the leading gas utility vehicle-meaning you can get 4x closer, undetected.The Bad Boy® RECOIL™ iS is the right vehicle for dominating the trail ahead, with range, power and performance unmatched by the competition.